I’m resurrecting this recipe. 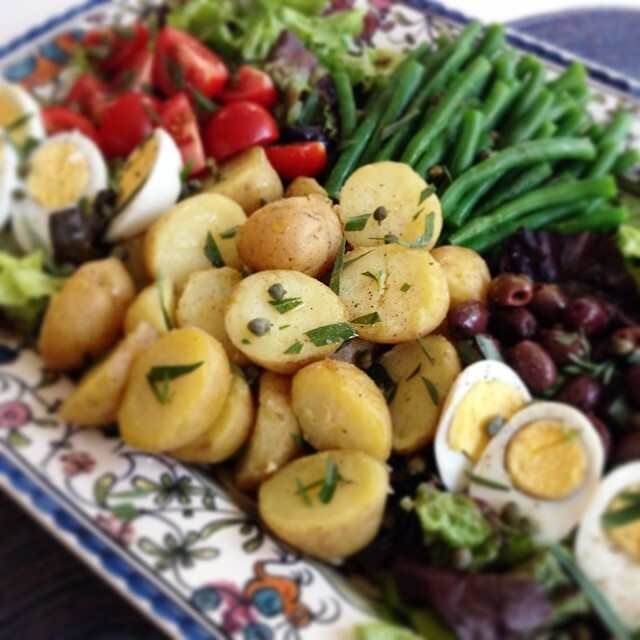 I posted it a couple of years ago (with much less enthusiasm) and made it again last week for dinner, sparking my memory and love for the Niçoise salad. It’s the best salad ever! Of course if you don’t love tuna, olives and anchovies you might want to give it a pass, or you can just pick around and eat the potatoes and green beans. 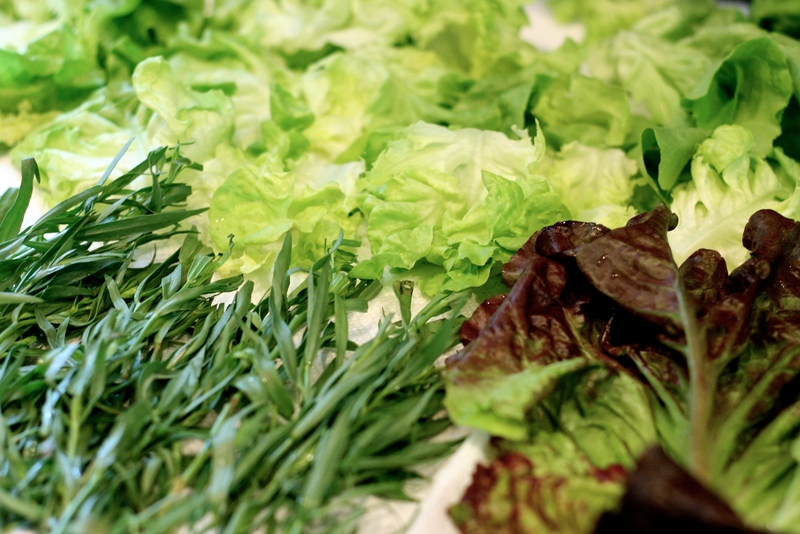 Creating perfect forkfuls that include a tidbit of each element of the salad, stacked artfully and dipped in Dijon tarragon vinaigrette is a scrumptious bite of heaven. Sigh. 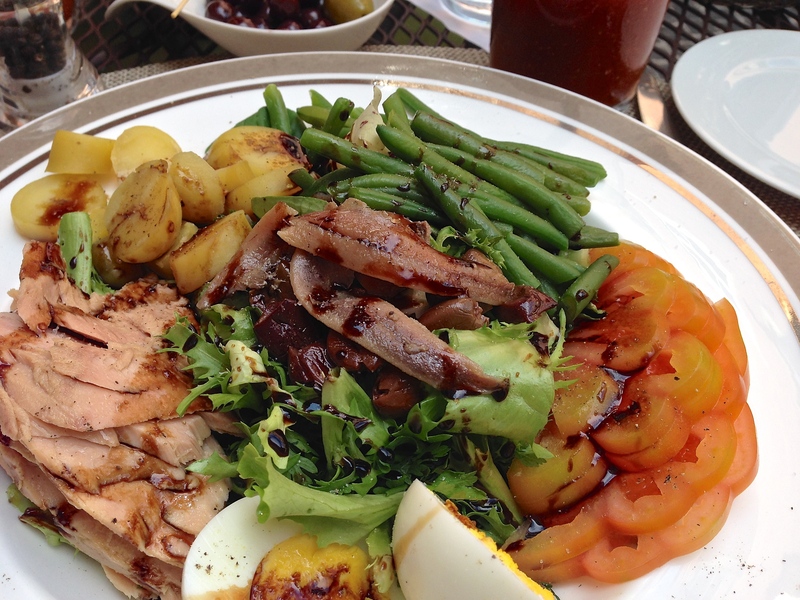 As proof the Nicoise is my true love, I can easily rattle off a list of restaurants where I’ve ordered it. One of my favorites is from Rue 57 in New York City, followed closely by the Hotel de Russie in Rome. Given the opportunity to eat awesome Italian food in Italy, I picked this salad (no regrets). 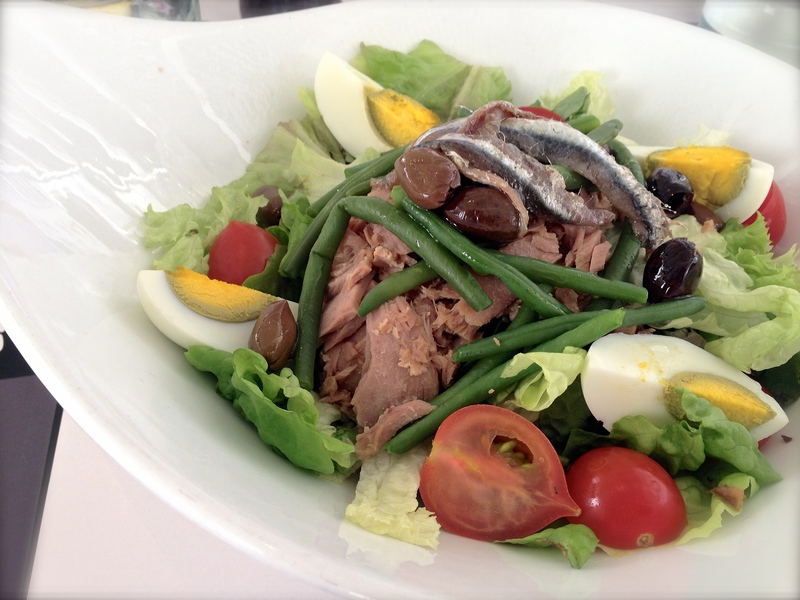 In fact, I ordered a Niçoise salad twice during our Italy trip. There’s something about the fresh tarragon, salty anchovies and olives with potatoes and crispy green beans, it’s irresistible to me. One of the things I love about Rue 57, is they let you choose between canned tuna or fresh tuna. I prefer canned tuna for this salad. Save that fancy fresh tuna for sushi. 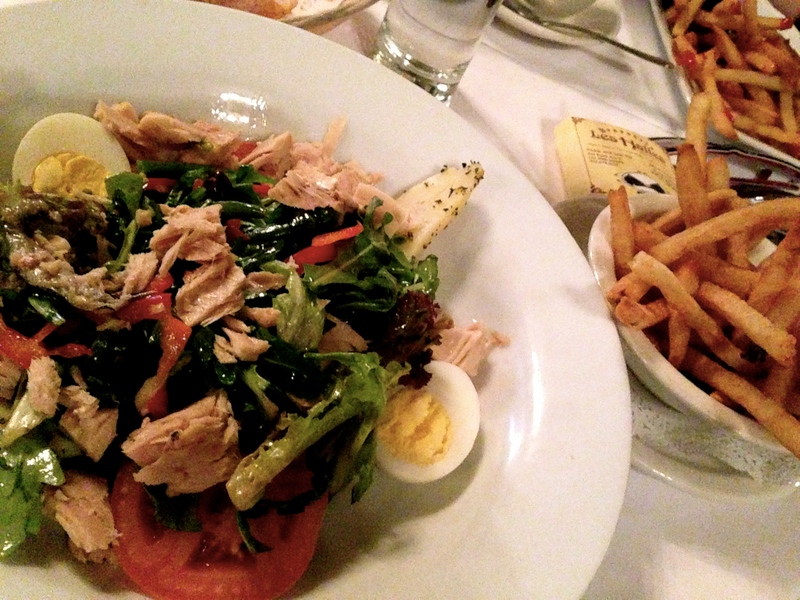 Pommes frites and a Bloody Mary with a Nicoise Salad? I’d be satisfied if this was my last meal. We’ve been watching a lot of Orange is the New Black and I have prison on the brain. So for the moment, consider “last meal” to be my death row reference. For the record, I’d never survive prison, even if they let me work in the kitchen. Oy Vey! 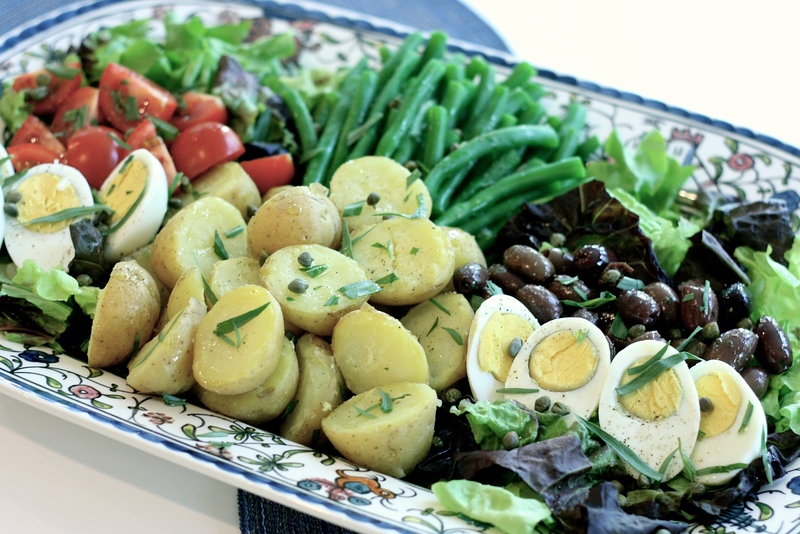 This is my adaptation of the Niçoise salad. Change it as you wish, just make one! I have to say that as good as this salad is, the salad dressing is fantastic! It will last for a few days in the refrigerator, and it’s really good on sandwiches or even to dip veggies in for a snack. Don’t let a drop go to waste! Throw all the dressing ingredients in a food processor except the tarragon. Process until emulsified and smooth. Pour into a bowl and add the chopped tarragon, stir together. Can be made 3 days ahead. Cover and refrigerate. To blanch the green beans, bring a large pot of water to a boil and fill a large bowl with ice and water, set it next to the stove (see above). Drop the green beans in the boiling water and allow to cook for just 2 minutes. 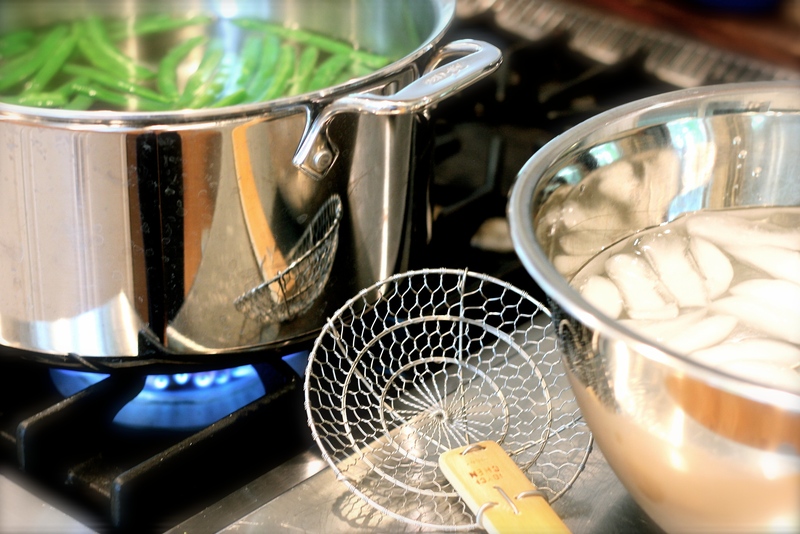 Using a strainer, remove the green beans from the pot and place them into the ice water bath to seize the cooking and keep their bright green color. I lay the green beans on a paper towel to dry. Throw the potatoes in the same pot you used for the green beans and boil until tender, 10-15 minutes depending on their size. The potatoes are perfectly cooked when they feel tender when pierced with a fork (not a knife). Drain the potatoes and toss with a little kosher salt & pepper and some chopped tarragon, set aside and allow to cool. 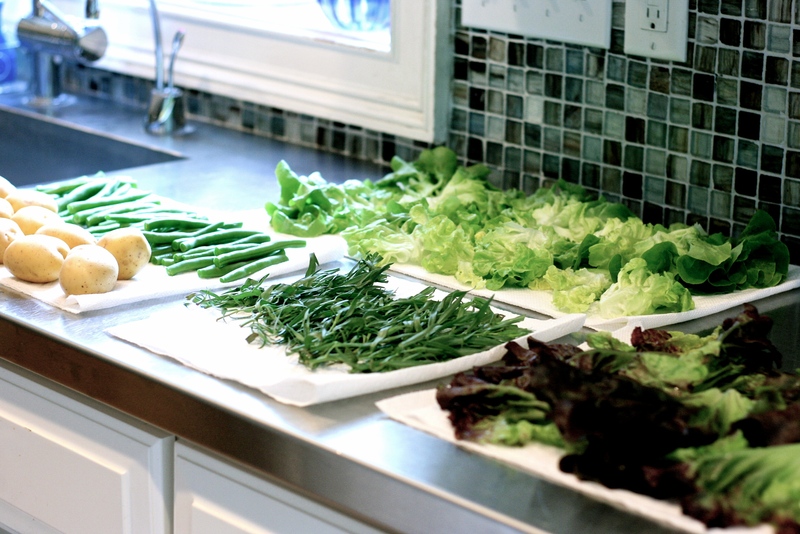 Assemble all the ingredients for the salad on a large platter. Sprinkle some chopped tarragon and capers over everything. 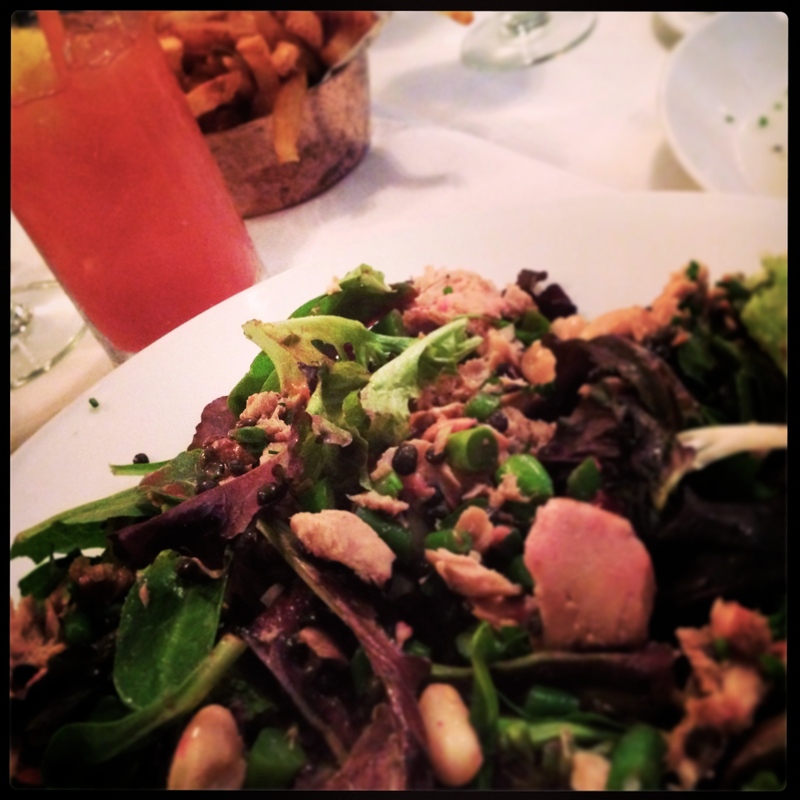 I always serve the tuna and anchovies on the side, along with the dressing.